No, really. I hate using my hard-earned money to buy stuff that will take up space in my home. If I can use it up or give it away, cool. If I have to find a shelf or drawer to store it, I better love it. 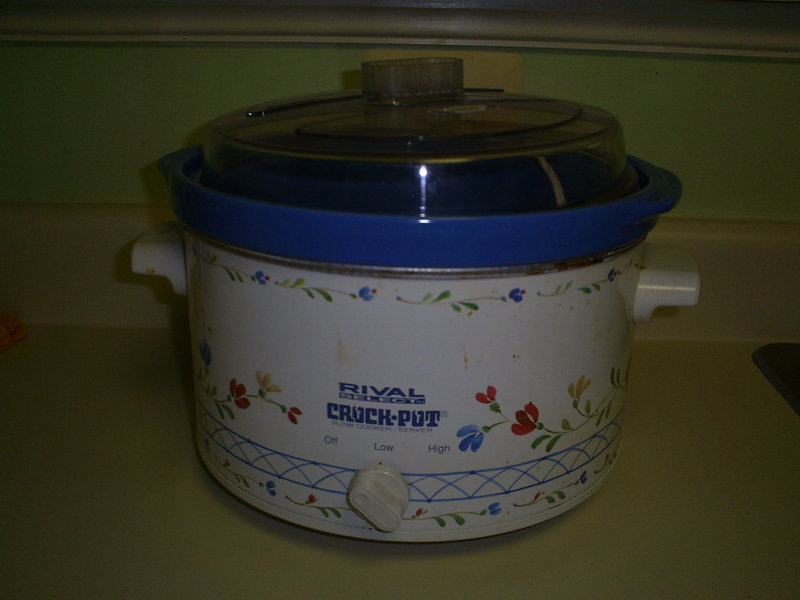 My old crockpot was a hand-me-down from another single mama. It worked just fine, but didn’t have a removable crock, so it was a pain to wash. I almost didn’t buy this one, but my mama promised me that it would be worth it. She was right (as always). I love coming home from work to the smell of “real” food cooking. And I love eating that real food and putting the crock right into my dishwasher. Win. The truth is, I am constantly trying to sneak toys out of my house (shhh…). I swear they multiply while we are sleeping, and most of them are just a waste of space. These, I love. 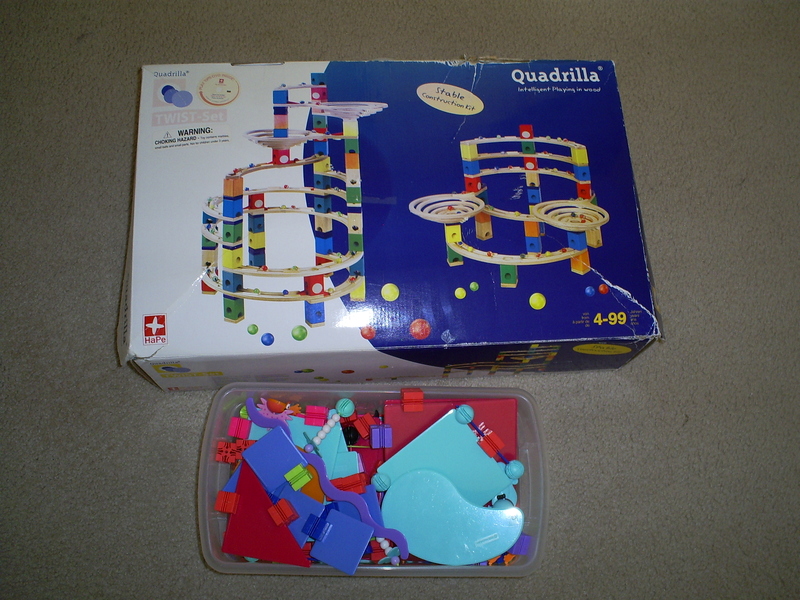 They are tools for sustained, creative, hands-on learning through independent or shared play. 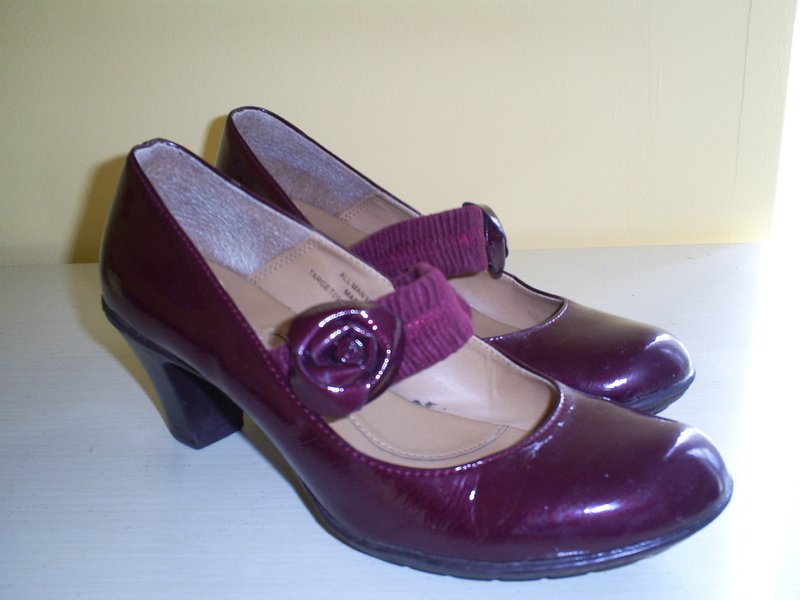 I have spent my entire adult life in search of the perfect pair of heels. This spring, I found them. Comfortable enough to wear all day, versatile enough to pair with a dress or jeans, neutral enough to go with just about any color. And the cute little flowers sealed the deal. Although I buy kids’ books like it’s my job (I guess it kind of is), I actually don’t buy many adult books. This is an exception. 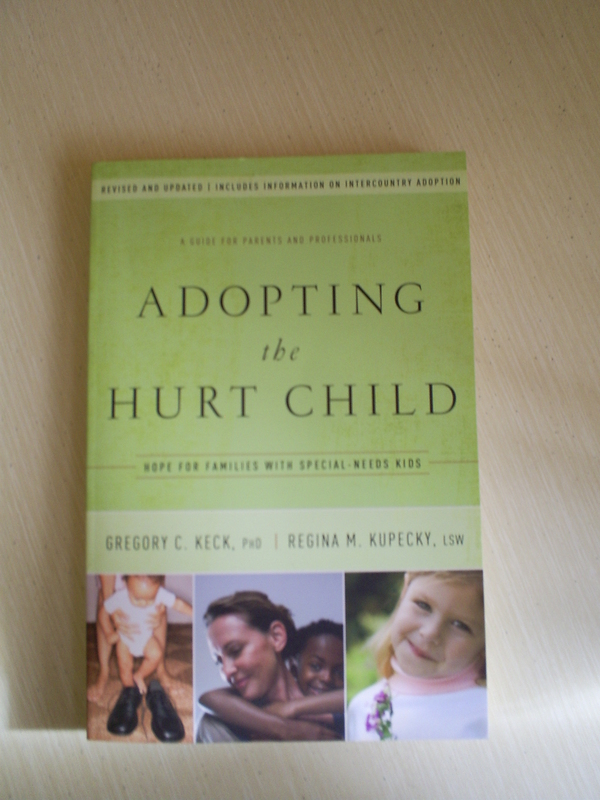 Along with the companion book Parenting the Hurt Child, it is a must-read for adoptive parents or anyone thinking about becoming one. Also, if you ever get a chance to attend a workshop by the author, Regina Kupecky, do it. I got to hear her in Toronto this summer and she is great. I know this one is kind of a cheat, but other than keeping a roof over our heads, this is the thing I spent the most money on this year, so it gets a spot on the list. 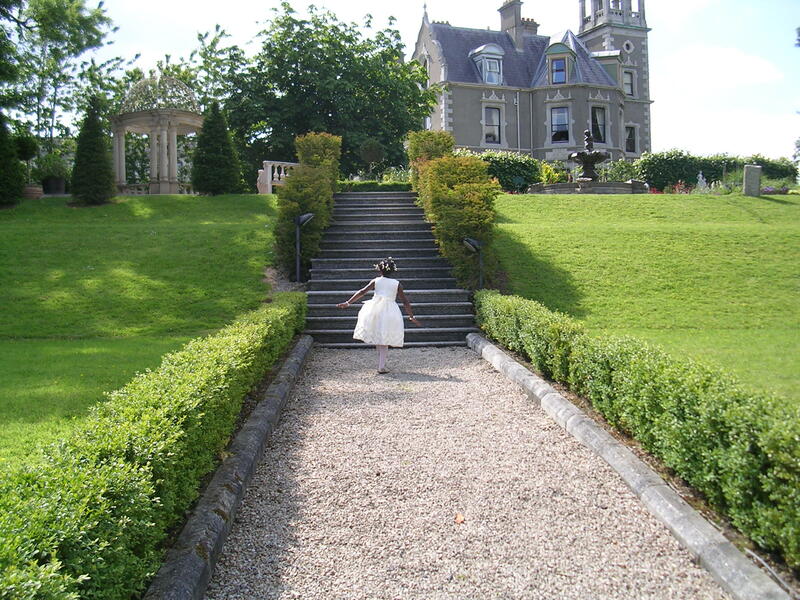 I debated long and hard about whether or not I should take my daughter to Ireland for my cousin’s wedding this summer. And I have to say that I have absolutely no regrets about choosing international travel with a kindergartener or spending an unexpectedly ridiculous amount of money on said international travel. Watching my girl overcome her fear and perform her flower girl duties beautifully. Watching her dance until midnight with uninhibited joy. Watching her chat effortlessly with folks in youth hostels and five-star hotels. Working together for weeks on a scrapbook to capture our shared memories. Watching this trip become an anchor in the story of our life together as she says, again and again, “Mama, do you remember that time we went to Ireland?” One hundred percent worth it. Once upon a time, I understood intuitively what it meant to approach the throne of grace with confidence. As a fourth grader, when I heard that my teacher’s baby needed a miracle, I prayed for a miracle. Without qualms, I begged Jesus to spare this little boy’s life. Again and again, I pleaded for the doctors to be wrong and for supernatural healing to make his little heart, lungs and brain viable. I prayed honestly, unapologetically. Twenty years of life (and church) later, when I heard that my friend’s baby needed a miracle, I prayed again. My first inclination was to give God all kinds of excuses and caveats, to give him a way to save face if things didn’t work out the way I thought best. But this didn’t feel right, so I sat in silence for a while. It took some time for honest words to come. It was hard to speak aloud the deep desire of my heart for another miracle, for the sparing of this little boy’s life too. I prayed honestly that night, but it was slow and halting and so, so hard. I love that the word translated confidence in Hebrews 4:16 also means honesty. You see, because of the incarnation, because of Jesus, we can come to God honestly. Not to fulfill our every wish. Not to name and claim. To receive mercy, his compassionate action. Confidence isn’t false hope. It isn’t denial. Or raised voices and pounding fists. Confidence is honesty. Asking for what we need. Confidence is knowing the One who both feels with us and has the power to act on our behalf. Confidence is seeing our need, speaking the truth and finding grace. I never used to worry about political correctness. I suppose that’s because my rich white girl status meant that I didn’t have much of a stake in any of the groups that struggled to be accurately and non-offensively defined. And then I ventured into the wilds of adoption. Transracial, single-parent adoption at that. And with the bang of a gavel, my new family became a minority of a minority within a minority. And I started hearing the word “adopt” everywhere. Political candidates adopt platforms. Until election day when (win or lose), they pretty much abandon them. Governments adopt policies. Until the political winds shift and the opposing party comes into power. School boards adopt textbook series. Until something newer and shinier and common-corier comes along. Corporations adopt new logos and new slogans. Until they’re not cutting-edge anymore. Civic groups adopt streets. I’m not really sure what this means, but I have seen the signs. Churches adopt families at Christmas time. This means they buy presents for the kids, maybe donate some canned food, and invite them to services. And (my personal favorite) idealistic folks adopt needy kids in third world countries. This means they send $30 a month to help make their lives better. At first, I wasn’t sure what made my jaw clench when I heard the word adopt used in these contexts. Adoption isn’t a whim. It’s a commitment. Just like choosing to parent a biological child, it is meant to be a forever commitment. Most of the time it is. And in the cases when it is not, it means the very, very painful loss of a child. Adoption means loving a child that did not grow inside your body just as much as if she had. It means creating a family story that can’t fall back on shared genes. It means celebrating your child’s victories wholeheartedly while knowing, deep down, that your joy is someone else’s loss. It means riding out the hard times and working to heal hurts that have nothing to do with you. Adoption is the beautiful, hard work of family. And, for me, it’s personal. When I hear folks say adopt when they really mean implement or buy or help, I feel like my family is being devalued. I want to cover my daughter’s ears for she, too, is on high-alert for any mention of adoption in casual conversation. No matter how passionate you feel about any given stretch of highway (or logo or textbook), you are not going to bandage its boo-boos, watch it practice gymnastics, lose sleep about its social adjustment or save for its college education. And no matter how deeply I care about the little girl that I sponsor in the Dominican Republic (for just thirty dollars a month! ), no matter how often I write to her and how much I would love to see her succeed, she is not my daughter. Let’s say what we mean. And let’s save the word adopt to describe what it really is… the beautiful, hard work of family. This is the Stable by Cynthia Cotton- The story of Jesus’ birth retold in poetry. R likes it because it tells the true story of Christmas. And because she can read it (easily) by herself. The Christmas Blizzard by Helen Ketteman- R picked this one because she loves snow (and also probably because I gave her this assignment during a blizzard). I’m not big on Santa, but she likes the story. So, whatevs. A Child is Born by Margaret Wise Brown- if she hadn’t picked this one, I would have, so I guess it is a shared pick. I LOVE that my daughter thinks Joseph looks like her former foster dad in this book. A brown Jesus and a lead-in to adoption conversations? Yes, please. Mr. Willowby’s Christmas Tree by Robert Barry- always a favorite! 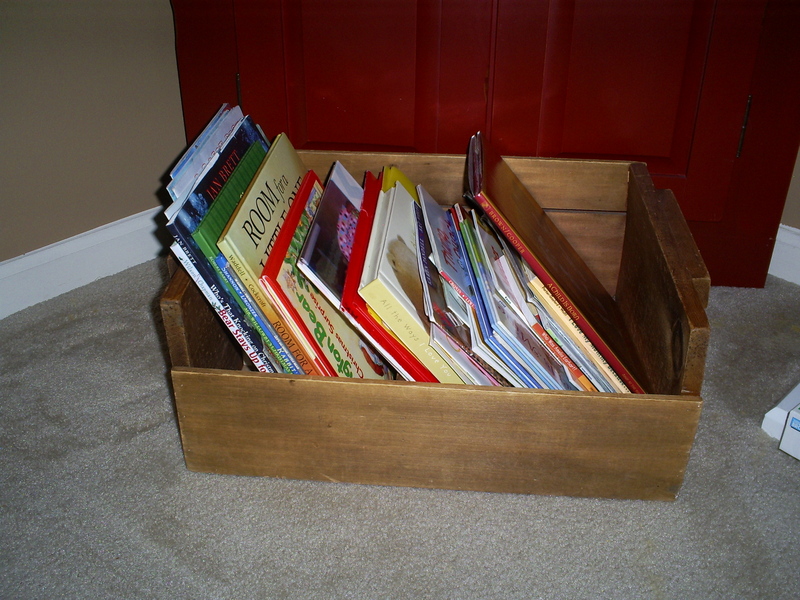 Upcycling, generosity, a story in rhyme and a surprise ending… what’s not to like? The Gingerbread Baby by Jan Brett- a classic. A fun twist on the old story with fabulously detailed illustrations and an ending well-suited for bedtime reading (for those of us who tend to over-identify with baked characters in our bedtime stories). Hallelujah: A Christmas Celebration by W. Nikola-lisa- technically we’re not reading this one yet as it is wrapped up for a special treat on Christmas Eve (shhh…). But, oh, the illustrations! If I ever find another copy of this book in my bargain-hunting travels, I will buy it to cut out and frame the illustrations. Christmas Stories for Bedtime by Renae Brumbaugh- got this one as a gift last year and we are enjoying it. I am not a fan of the little song excerpts that come between the stories (many of the lyrics are written in “old English” that make them hard for a kid to read, and they don’t seem to add much to the overall story), but I like the stories and the prayers that go with them. Just right to read with my first grader. What are you reading with your littles this Christmas? 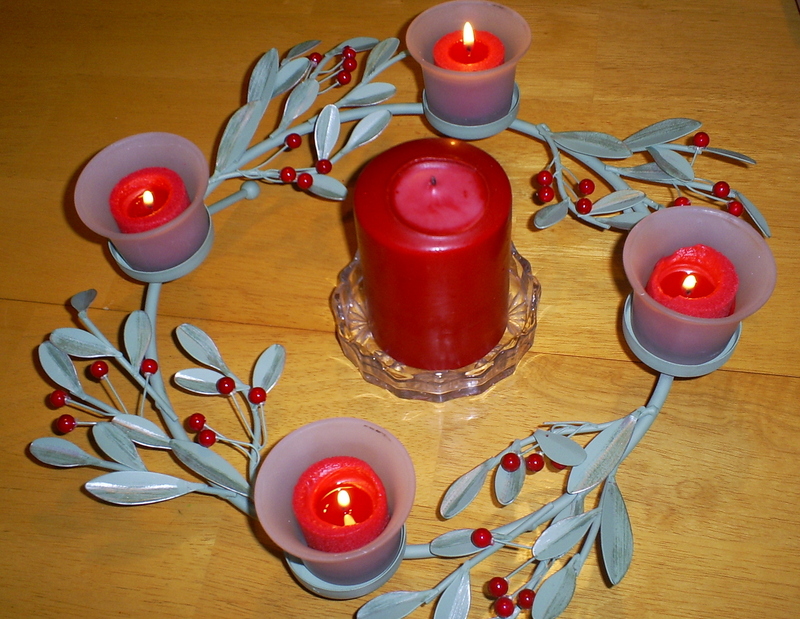 I have been all about advent this year. Not in the elf-hiding, chocolate-eating way (although pretty much any time of year is a good time for chocolate-eating in my book). But in the candle-lighting, redemption-longing way. Advent is preparation. It is choosing not to rush ahead, but to create space for the waiting. It is hearing the mournful chorus of “O come, O come Emmanuel” and believing that this is part of the story too. Advent is hope. It is choosing to believe in the darkness, choosing to love when it doesn’t come naturally. It is knowing brokenness and waiting expectantly for redemption. I find myself here again this morning. In the waiting. In the redemption-longing. Creation is groaning, calling out for liberation. And Hebrews 2:8 states the obvious. At present, we do not see it. Our hearts are unquiet. Our world is a mess. Suffering death in his humanity. Conquering death in his divinity. Our strong Redeemer is making all things new. And our patient Emmanuel is with us in the waiting season. In Isaiah 9, the Messiah was prophesied. A child born—fully human. The Son given—fully God. In Luke 7, the Messiah walked among his people. The God-Man strolling in the midst of a large crowd. As they approached the Nain city gates, surely Jesus had a destination in mind. A funeral procession. A grieving mother. Jesus saw (v. 13). This was not an eye-seeing, but a heart-seeing, a spirit-seeing. He locked eyes with this heartbroken woman and saw her agony, her despair, her fear of the future. He acknowledged her there, in that moment. His heart was moved to compassion (v. 13). Because he was fully human, Jesus knew death and grief, despair and fear. And he knew compassion—a feeling-with, not just a feeling-for. And then this God-Man got his God on and brought her dead son back to life (v.14). But it was not before he saw. It was not before he felt. Today, the Messiah still walks among his people. I know this because I have seen his feet—pounding the steaming pavement in the inner-city, climbing dusty mountain trails in Haiti, sitting by the bedside of the dying, loving babies in suburban homes. He still sees. He still locks eyes with us and acknowledges us here. In this moment. He still feels-with. His heart is moved by our stories—even when we think no one is listening, that surely our stories aren’t that important, that why would he care because there are so many people with bigger, louder, harder stories. And he still gets his God on—replacing gloom with glorious hope, replacing darkness with light, replacing oppression with freedom, replacing despair with joy (Is. 9:1-5). Hear the good news this Christmas: A child is born. The Son is given. Emmanuel—our God is with us. One of the things that I didn’t anticipate about motherhood is the overwhelming desire I have for my daughter to be happy. As I’ve mentioned before, happy isn’t one of my core values. It isn’t part of my mama-mantra, the words that I speak over my daughter a thousand times, whispering in her ears, willing her heart to believe. But the truth is that I want so badly for her days to be filled with happy thoughts, happy interactions, happy memories, happy dreams. Of course, you say, every parent wants their kids to be happy. This, I guess, is true. But my baby has somehow managed to live both too much and not enough in her short years. She has reasons (dare I say, more reasons than most) that happy isn’t a given. I hold her as she names them all. Every single one. I hold her as she feels them all. Again and again. I consciously slow my breathing and will myself to be present with her in this moment, but the truth is that this speaking, this feeling, rips my mama-heart into painful little shards. I am wrecked and I wish so desperately that I could make them my reasons, not hers. I would do anything, anything to take them all away from her. The sun comes up. I tiptoe into her room and she is making tiny sleepy noises like the infant that I never knew. She reaches out, before she even opens her eyes, making sure that I am there. Today the twinkling white lights on our tree will make her happy. Eating 21 tortilla chips will make her happy. Stomping in the snow will make her happy. Finishing a chapter book all by herself will make her happy. Snuggling and hearing my mama-mantra whispered in her ear for the thousand and first time will make her happy. And I know that we will be ok.